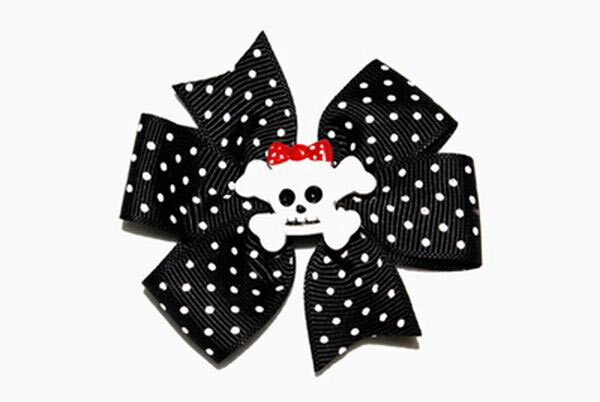 This is a double black and white polka dot ribbon hairbow with white skull and cross bones in the center (red bow on skull). 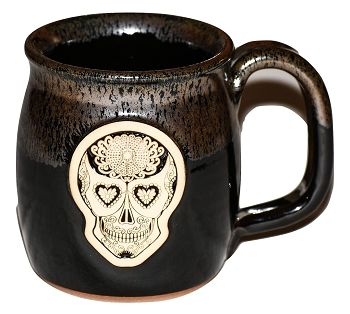 Measures 3 inches around and is mounted to a double prong flat hair clip. Made in the USA.